About – Dirk’s Truck Repair, Inc.
Dirk’s Truck Repair is a local diesel truck repair shop you can trust. Our ASE-certified technicians and service consultants provide the highest quality diesel truck services and parts in the Tacoma area. Operating from our full-service diesel truck repair shop in Lakewood, we use the most advanced equipment and tools for correct diagnoses and repairs. Our reputation for exceptional customer service, with a commitment to family values, makes us a preferred diesel truck repair company in the Pierce County area. Each of our skilled and experienced team members will do whatever it takes to safely and quickly get you back on the road. Repairing your truck is a priority, because we know the longer your truck is off the road, the more money you are losing. WE CARE AT DIRK’S TRUCK REPAIR! 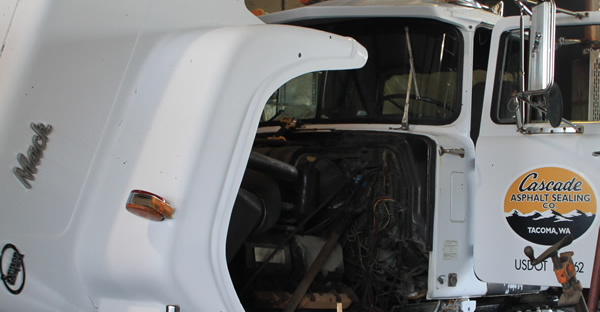 For over 37 years, Dirk’s Truck Repair has served the greater Tacoma area by combining extensive diesel service capabilities with exceptional customer service. Here’s why three decades of clients have been choosing Dirk’s for their diesel truck repair needs since 1979. Our team is talented! With our ASE-certified technicians and service consultants, your diesel truck is in the best hands possible. They are qualified to provide engine repair, brake repair, transmission repair, or truck electrical service. We bring fun to the truck repair industry. Our shop is a friendly place where you can bring your truck and know it will be fixed correctly by people who care about you, your vehicle, and your safety as if you were a member of our family. 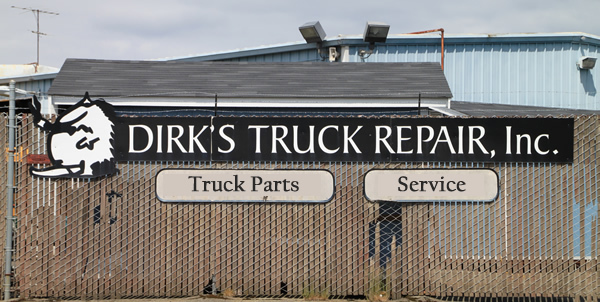 No matter If you own or operate a semi-truck or RV in Western Washington, the Dirk’s Truck Repair team is here to please. Give us a call or stop by and introduce yourself. We’d love to meet you!